Scorsese’s introduction was everything you love and expect from this genius filmmaker who at heart is a big classic movie fan just like the rest of us. His love of the art form radiated all the way up to the balcony of the Egyptian where I was sitting. When the film began, I could already see what the fuss surrounding nitrate was about. The black and white cinematography was very rich. The textures made certain scenes pop out in a way that almost rivaled 3D that made the climatic scene all the more intense. It made me even more excited for the next film, which happens to be one of—if not my absolute—favorite film, Laura. The opening scene of Laura in Waldo Lydecker’s apartment. I’ve seen Laura more times than I can count. It’s the film I always say made me fall in love with classic Hollywood and film noir. The print we saw was the one that was distributed to the Academy of Motion Picture Arts and Sciences for Oscar consideration in 1944. The print felt like watching it for the first time. It was breathtaking. 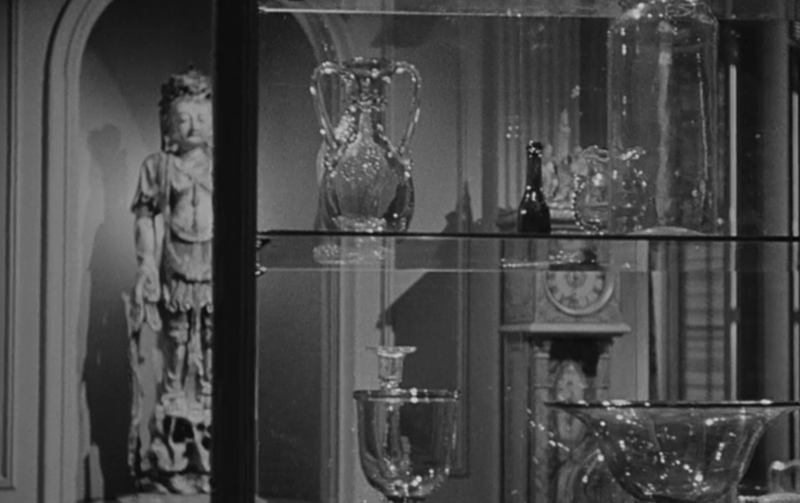 The opening scene with the tour of Waldo Lydecker’s apartment made me look at his possessions in a way I hadn’t seen before. Nitrate shined a luminosity to his art collection that added to his character’s sophisticated and lavish lifestyle. Laura is already a gorgeous film. It won the Oscar for black and white cinematography. The nitrate stock elevates the film to places I didn’t think were possible. These small details made it an intoxicating experience. The spirit of Laura Hunt through the haunting painting permeated throughout the picture. In the scene where Detective McPherson goes through her possessions and you see him gradually falling in love with this murder victim, the nitrate projection gave it a more haunting undertone to match its reputation as a film noir classic. Gene Tierney’s porcelain beauty never looked better. Can you make one of the most beautiful actresses ever even more breathtaking? Yes, actually, you can. This was a festival experience I’ll always remember. It may not have received its own billboard on Hollywood Boulevard but Black Narcissus was one of the most anticipated screenings at the festival. Photos of the film show its beauty but nitrate truly does it justice. Black Narcissus on nitrate is like watching a painting come to life. 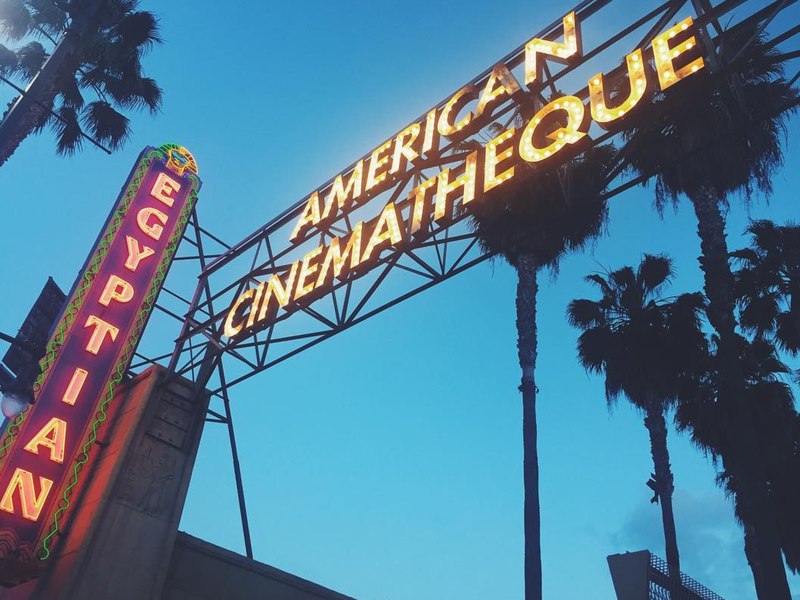 In an NPR interview, the Egyptian Theater’s manager described this screening as “a spiritual experience for people who love cinema.” I could not agree more. I felt like I was transported to another world. During the entire film’s running time, nothing else mattered. I was under this film’s spell. Unfortunately I got a little lost in the film because of just how beautiful it was. I had a hard time making sense of some parts of the plot. I was that overwhelmed by it! The scenes where the character Sister Ruth descends into madness sparkled in a way that made me gasp. It was a reminder of just how much film is reliant on the work of everyone. Kathleen Byron does a great job as Sister Ruth but the cinematography showcases the power of the Himalayan scenery on her character. Byron works internally to show her madness and the nitrate brings it out externally. The final film to be shown on nitrate and the final film I saw at TCMFF was Lady in the Dark. In my earlier post about the festival, I expressed my disdain at this film’s plot, however, that doesn’t take away from how gorgeous this film was. It was a visual ecstasy. 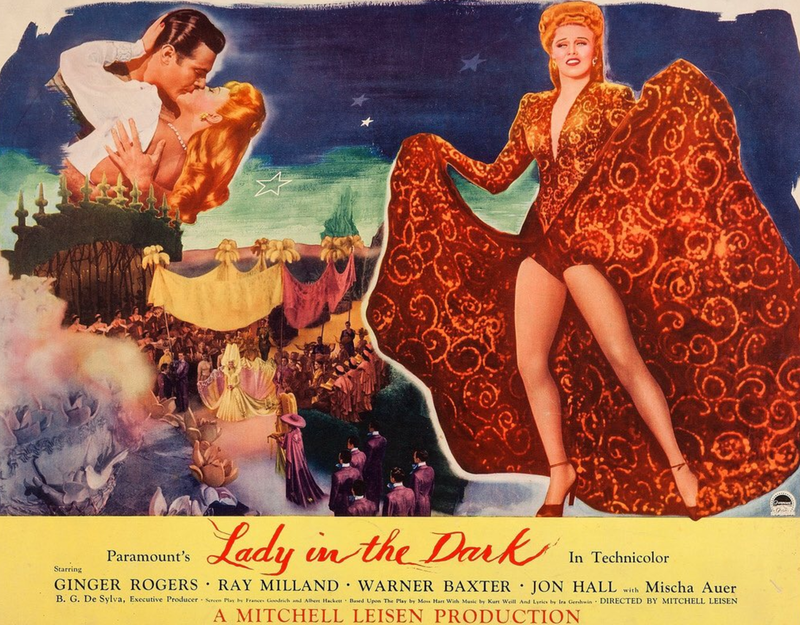 The film features several hypnotic dream sequences including Ginger Rogers wearing a beautiful red ‘mink’ dress and Ray Milland donning a purple sequined suit with a matching top hat. Are you not sold on this??? I left this film appreciating Edith Head’s costumes on another level. The nitrate really brought out details that I didn’t pick up on in other films. Anyone who is a classic movie fan should seek out the Nitrate Picture Show. Cellulose nitrate was used exclusively until Kodak stopped making it in the 1950s and replaced it with a sturdier film stock. The term silver screen comes from nitrate because actual silver was embedded in the material it’s made of. For me—I felt completely spoiled by this addition to the TCM Classic Film Festival as it was a part of my first festival. We need to celebrate these precious and rare prints. They are crucial to our film history. Thinking about some of these prints disappearing forever is such a scary and devastating thought. To learn more about nitrate, visit the George Eastman Museum’s website here. Sounds fantastic. You are so lucky. Black Narcissus especially sounds like it was made to be viewed in this format. Loved your piece on the nitrate prints. I remember watching a B&W short a long time ago on nitrate stock, and the contrasts were incredible. BTW, it was great meeting you. Hope you can join us ago a screening soon.